Enjoy Fixed Pennsylvania Electricity Rates with Direct Energy! Our Live Brighter Plans: Enjoy a locked-in, low electricity rate for your entire contract, whether you choose a 12-month or 18-month plan. Excellent Customer Service: In a competitive energy market like Pennsylvania, customer service can make all the difference! 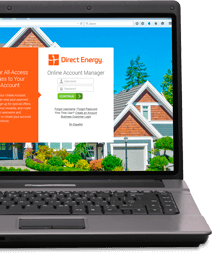 Direct Energy is your partner in helping your home run more efficiently, so you can focus on other things in life instead of your electricity needs! We're here to make your life easier. We're Your Partner: In addition to great energy services, Direct Energy is by your side to make home life easier. Explore our Learning Center and Live Brighter Blog to find tips on energy efficiency and better living! What Does Deregulated Energy in Pennsylvania Mean? Since 1997, Pennsylvania residents have had the option to choose their energy provider. Prior to deregulation, each resident was billed a regulated rate through the public utility company. Deregulation allowed Pennsylvania third-party electricity suppliers to enter the market and offer residents more rate options, better customer service, competitive pricing and more. Unfamiliar with any of these terms? Review our Pennsylvania energy glossary to learn more. A Variety of Contract Options: Choose the term length that makes sense for your lifestyle and your home. We offer one or two-year contracts that allow you to have flexibility. Also, it's easy to transfer your electricity service if you move! The Power to Choose: Energy Deregulation in Pennsylvania allows you to pick the electric supplier, electric rate and plan type that's right for you. You have the power to choose the energy company that best meets your needs and expectations, giving you more control over your home and electricity bills. Switching is Easy: Ready to make Direct Energy your electricity company? It's never been easier with convenient, secure online or over-the-phone ordering. And rest assured, your service won't be interrupted during the switch to Direct Energy. You'll continue to receive power through your utility or current provider until your service transfer is completed. You'll also continue to be billed through your Pennsylvania utility company, but you'll get to enjoy all the benefits of being a Direct Energy customer! What is a Fixed Electricity Rate? This type of plan allows you to lock in a low electricity rate that stays the same for the length of your contract. 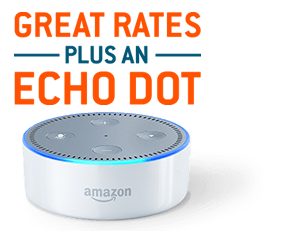 This is a great option for customers looking for more consistency in their bill. In a fluctuating Pennsylvania energy market, this option gives you more control over your rate and is a good option for those on a fixed budget. Average Energy Charge reflects average annual usage of 1,000 kWh/month. Please see the Disclosure Statement for other pricing information. Not in PPL? Please Enter Your Location We would like to provide you with the most accurate information on on our offers, including available plans and pricing. Please enter at least your zip code, but you may also enter your complete address for more detailed information.